How does improved performance & availability in your SAN environment improve business value? #NetAppChatFind Your WinIT is in a state of transition – how do you win during these challenges and navigate these changes? Q6: Another on flash. Today's enterprises need to provide real-time data access and apps need to overcome storage bottlenecks. How is Flash helping to achieve this? The race to 0us is on. It's all about that latency. Period. A6: @datacenterdude agreed. But my question is how many people and apps really need near-zero latency? @dancbarber Is flash fundamentally changing how apps are designed? Storage bottlenecks have a high cost associated with them. Eliminating the bottle neck means more efficient servers, which equates to less of them. More importantly less software licenses, this is where the real saving take place. You wouldn't be surprised. Some of the biggest names that host data for the consumer digital products you use every day run on EF550/560, and that was a core requirement of all of them. @ajbergh Flash is showing app developers the potential they have. Case in point: what if a major retailer could get realtime info on every purchase a customer made right at the Point-of-Sale device? A6: Server-side flash avoids bottlenecks for deduplication. @DataDefiner Flash, especially the way NetApp has designed their FlashRay, uses global inline deduplication, byte-granular inline compression, variable length block layout and adaptable performance. @DataDefiner do you see a multi-level caching strategy? VM-HBA-Host-Switch-Controller-Disk? Mark nailed it. The biggest cost-savings is in less hw required, which equates to less licenses and support contracts needed. Doing more with less always saves. 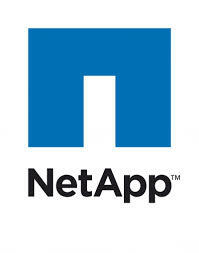 Been NetApp's M.O. for a long time. "Go Further, Faster"
@dancbarber A6: More than just IOPS! @dancbarber Absolutely! All the time with CommVault. @DataDefiner Love me some @CommVault! @GildaFoss Flash also works great with source-side dedupe, inline compression, etc. I recommend server-side flash and/or AFAs all the time! Q8: With storage needs growing exponentially, how do enterprises who are looking at all flash solutions integrate with larger capacity needs? Anyone that thinks the whole datacenter will be all-flash all-the-time for all-the-things is silly in the head. There will always be a need for "cheap & deep" for WORM, archival, cold storage, and off-site long-term retention. (cont) and that will still constitute a MAJORITY of total data in any enterprise. A8: One word: Data mgmt. Archiving. Not everything needs to be on tier-0/1! A8: And don't forget @AWS and @Azure -- data must be searchable, recoverable, etc. A8: Performance disk is in trouble, but capacity disk will have a big $/GB advantage over even the cheapest for of flash for a while. Hybrid architectures (flash+disk), whether on-prem or leveraging the cloud, are the new normal. A8 : Enterprise storage continues to move rapidly to a hybrid model, where models are applied both within & beyond the enterprise's traditional boundary between hardware it owns & manages. @DataDefiner Good point, Brian. I still hold firm that DRaaS will become one of the first major uses of public cloud from the enterprise. From a simple capacity play. Hell, I do it at home! @GildaFoss Everything is moving toward hybrid. There isn't a one-size-fits-all SAN, nor is there cloud, compute, network, application. Driving the point home : The Future of All-Flash Arrays is Not All Flash. @datacenterdude Yep, and long-term cold storage. Q4: What are the top three challenges you’re experiencing in optimizing your SAN environments? A4: Faster data access is key; #flash is certainly helping that. The top three things I hear: a) Ease of setup/maintenance b) connecting to host environments (i.e. proper zoning/config) and c) Staff doesn't scale as well. @datacenterdude Agree on the staff part. When personnel is one of the biggests costs, a scalable SAN is very important to business effectiveness. (cont) These are not new problems. As much as we want to believe Flash will be the end-all, be-all for SAN, the reality is many of the core problems still exist. SAN is still SAN. @arianagradow it is certainly fundamental to understand your workloads. Too many people just say "put it on flash and don't worry about it." A4: Challenges are lack of granular data recovery; no easy way to manage compliance; data migration too costly. A4: 1. Ease of use. 2. Updated infrastructure to use advanced features. 3. Training people to use and understand the new technologies. R Cox, how much does bandwidth play into this? @dvellante @datacenterdude Not mention personnel and operational latency—I think we could solve a lot of problems that way!